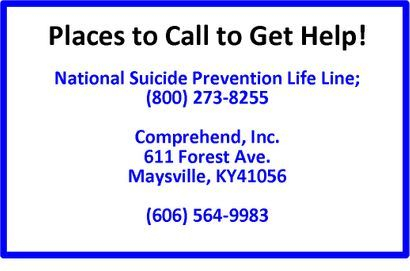 Mailing address: PO Box 490, Maysville, KY, 41056. Click on church button to see our Facebook page. congregation as of tonight's session meeting. 21:12). Another time He talked with about 500 people after He had risen, and to the disciples and to Paul (1 Corinthians15). A lot of people saw him. Jesus does what He promises to do. that the way we keep track of time was altered. He split all of history into B.C. Because He was God He could do everything God could do. No force could keep Him in the tomb. The Romans killed Him, they put Him in a tomb, they put the big stone in front of the tomb and then sealed it with the Roman seal and they posted a 24-hour guard. They were only trying to prevent the inevitable. He had all the power in the world. He said, They can’t stop me. I can give My life away and I can take it up again. would. '” (Matthew 28:5) Jesus did what He promised. When God makes a promise, you can count on it. and He keeps the promises that He makes. We have much to celebrate this Easter Sunday. See you April 21 at 10:45 am! January Outing in May? January refers to a prominent family name in Maysville in the 1800s instead of the month. Andrew McConnell January moved to Maysville in 1818 and opened a small grocery and purchased interest in the commission business with his uncle, Samuel January. He was President of the Maysville and Lexington Turnpike Co. and was the first president of the Bank of Maysville 1835. He was married to Sarah Huston and they had 14 children. Come enjoy the afternoon outing beginning with a box lunch and then touring various locations of January family influence. The outing will start at the museum for registration, welcome and introduction. The group will enjoy of a box lunch: ½ Benedictine sandwich, ½ olive nut sandwich, chicken salad, pasta salad, potato salad, fruit salad and a loaded brownie. The tour will begin with the history and tour of the 1838 January-Cochran House on Third Street. The next stop will be The First Presbyterian Church for a tour and history of the church. location of the former January and Wood Cotton Mill, Samuel January House on the east end of town, January Park, and culminating with Jacobs/January Cemetery with information and history of the cemetery. and genealogical library. The library is part of the non-profit Kentucky Gateway Museum Center and deals with increasing costs every year. The research library is not supported by tax dollars, but depends on admissions, research fees, donations and memberships to keep the lights on. In order to help this valuable asset continue to thrive, the January Outing fund raiser is scheduled for May 18, 2019. The cost is $75 per person for a full afternoon of history and events that are well worth the time and money. Most of all, it supports a service that continues to provide an excellent resource for authors, teachers, students, university faculty members, business and other museums, not to mention those just interested in finding their roots. Outing Library Benefit to learn about this fascinating historical family. Please join Kentucky Gateway Museum for their January Outing in May! 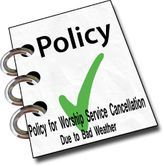 , April 29th at 5:30 p.m.
Maundy Thursday Service will be on Thursday, April 18th at 6:00 p.m.
beginning with a potluck dinner. United Methodist Church, 1317 Forest Ave., Maysville. Missy Hendrickson and Linda Reed. Church Survey: The Interim Steering Committee would like your feedback. Easter Lilies this year are $12.00. There will be order forms in your bulletins beginning March 31st. The last day for your order will be Friday, April 12th. You may also use the order form in the Newsletter or from the website if you wish. Please write Easter Lily on the memo line of your check. Easter Breakfast: The Easter morning breakfast will begin at 9:00 a.m. April 21st. Office closed on Monday, April 22nd. trafficking and domestic violence. Please let Linda Reed know by April 10th if interested in going. April 19th. The doors will open at 6:00 p.m. Special guests are The Nelons and Old Time Preacher Quartet. Church at 606-564-4262 to purchase tickets. 1952; or Helen Henry - 859-443-9758. Easter Concert: The Maysville Academy will have an Easter Concert on Thursday, April 4th at 5:00 p.m.
stamps. These cards will go to people on the prayer list and the homebound. If you know someone’s address on this list please give it to Gwen in the office so she can make labels with their name and address for your convenience. Thanks! from area churches, food still needs to be purchased each month. ‘FOOD BANK’ on the memo line. Or you can send funds directly to the Mason County Food Bank, located at 1679 Forest Avenue, Maysville, KY 41056.